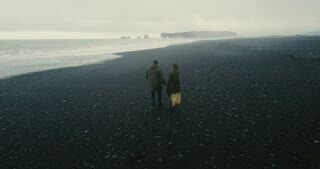 Search Results for "black couple romantic"
Romantic date of young loving couple on black beach, near the troll toes rocks in Iceland. Tourists spend time together. Iceland couple walking on beach holding hands on Iceland. 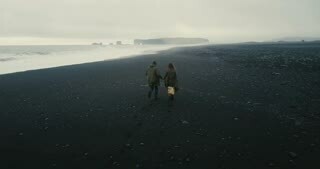 Romantic couple walking wearing Icelandic sweaters on black sand beach. 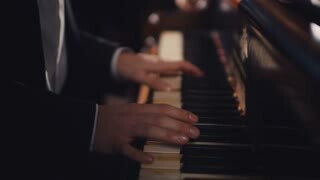 Steadicam footage with RED EPIC 60 FPS. Woman neck and man hands helps girl to wear jewelery. Friend puts necklace on elegant lady. Romantic evening for loving couple on black background. Wonderful girl in white romantic dress putting flowers. Happy couple looking at screen of cellphone. Young Caucasian man holding black smartphone. Outdoors. Summertime. 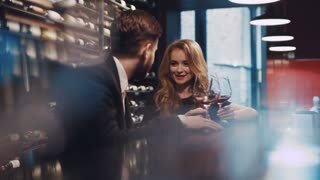 Gorgeous young woman in a classic black dress drinking red wine and seductively looking at the young bearded musician playing the vintage piano. Romantic atmosphere, perfect date. Couple goals. Low section of affectionate couple in trendy clothes embracing on romantic date in evening on city street. Close-up female legs in black stilettos and male in classic shoes meeting on street at night. Romantic side portrait of the happy attractive couple of newlyweds in love tenderly rubbing noses under black umbrella in the rain. Woman In Red Coat And Man In Black Walk The Road In Park And Reach Each Other's Hands. Charming Couple Being In Love Hug And Kiss On Their Date. Romantic Concept.